These days it is way more fashionable to emphasise the distinctions and the conflicts between Judaism and Islam, as well as between its respective followers. There are however way more similarities between the two religions and its communities than is acknowledged in these days of "clashes of civilisations". Since both religions, their different cultural forms and histories are very complex, the following list is by far not exhaustive and should only be seen as a general introduction or overview. The languages of the Qur'an and the Torah, are Arabic and Hebrew, respectively. Although by now neither all Muslims, nor all Jews, speak those languages, it attests to a major similarity between the two people - their common origin among other Semitic nations. The term “semitic” in modern day use mainly indicates an affiliation with a shared language family, including amongst others Hebrew and Arabic, but originally referred to a concept derived from the bible, namely the descent from Shem, one of Noah's sons. The first and most obvious commonality between Jews and Muslims is of course the fact that they are both monotheistic, believe in the same god and share a common origin through Abraham (in the Qur'an Ibrahim) and, like Christianity, are thus considered to be Abrahamic religions. The split in terms of descent between Judaism and Islam came with the second generation, i.e. 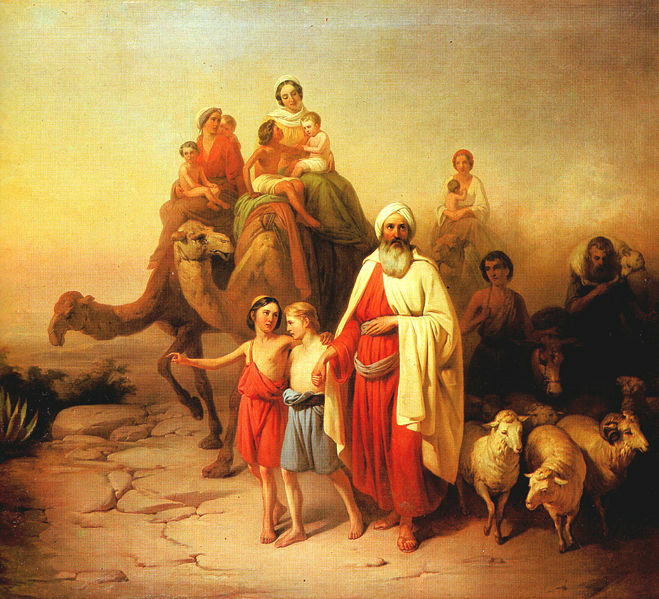 with Abraham's sons, Isaac and Ismael. According to Muslim tradition, Abraham's first born, Ismael, or Ishmael, is considered to be the Father of the Arabs as well as the prophet Muhammad's forefather, while his younger brother Isaac is referred to as the Father of the Hebrews. This is in line with Judaism, that generally maintains that since Ismael was the son of Abraham's first wife's handmaiden (and later Abraham's second wife), the younger son Isaac was the true heir of Abraham. It is therefore that Jews and Muslims often refer to each other as cousins. A lot of the prophets recognised by Judaism also hold the same status in Islam and numerous narratives and injunctions are found both in the Torah and the Qur'an. Consequently, the two religions also share a lot of religious concepts, as well as rules of conduct deduced from them. Interestingly, Judaism and Islam are probably more similar to each other than Judaism and Christianity. While Judaism and Islam both originated in a Semitic Middle Eastern culture, Christianity emanated from the interaction between Greek and Hebrew cultures. The now common expression Judeo-Christian traditions or value systems are therefore slightly misleading and usually serve to draw a false and inherently political distinction between Western powers and their appointed Muslim enemies. In the past, Jews have often lived under Muslim rule. Due to them being considered People of the Book, Jews and also Christians, who fall under the same category, were usually accorded with more rights than other non-Muslim communities. As opposed to Jewish existence under Christian rule, where they were often forced to convert to Christianity and deprived of any citizen rights, Jews under Muslim rule were generally not persecuted for their religious beliefs or their background, but were also not granted the same rights as Muslims. Those Muslim rulers that did enact forced conversions of Jews to Islam, did so in contradiction to prescriptions of traditional Islamic law. There is even an admittedly unpopular claim that Islam saved Jewry. The argument goes that due to the persecution that Jews suffered during the Roman empire, large numbers of the communities either disappeared or assimilated, which also included the loss of the knowledge of their culturally specific languages, Hebrew and Aramaic. Due to the conflict between Persia and Byzantine, this notion was further exacerbated as Jews living under Christian rule were cut off from the one place where Jewish life continued to prosper, Babylon (now Iraq). With the rise of Islam in the seventh century and the conquest of basically all the regions that were home to Jews, the demise of Judaism was however prevented. Almost all Jews now lived within the same political entity and a great majority adopted Arabic as their main language and the borders between the different Jewish communities, whether political or language wise, were thus swept away. Along with great improvements in terms of their socio-economic status under Muslim rule, Jewish cultural production, in tandem with and often also mutually influenced by Muslim cultural achievements, started flourishing again. 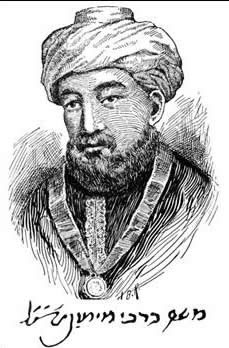 The times of Islamic Spain are commonly referred to as the Jewish Golden Age and brought forth such prominent figures as the Jewish philosopher, physician and rabbi Musa Ibn Maymun, commonly refferred to as Maimonides or RaMBaM. With the Catholic Reconquista, which gradually eroded Islamic control in Spain, this age came to a bitter end. As of today, the biggest Jewish community living amongst a Muslim majority is Iran, with estimated numbers varying between 25,000 and 35,000. In conclusion we can state that Jews and Muslims have a lot more in common than is usually acknowledged. Sadly, the conflict surrounding Palestine and Israel is probably the single most important issue defining today's relationships between Muslims and Jews, not just within the area, but globally.